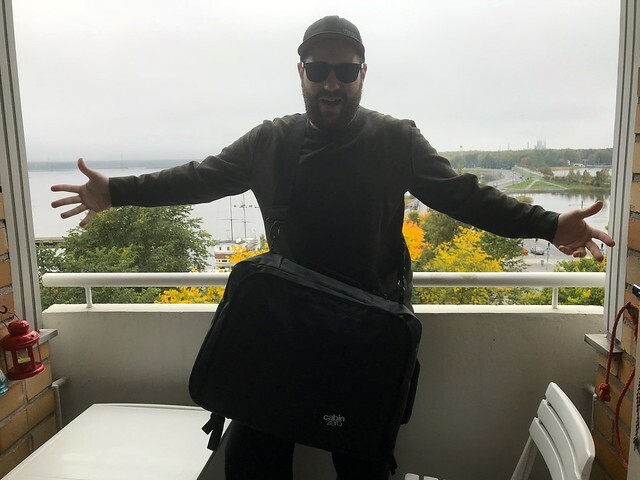 I’ve been desperately searching for the perfect cabin bag and that is how I came across my latest find; the Cabin Zero Urban. In case you don’t know already, let me confess: I’m a travel addict. Being an avid traveller who also likes to be as efficient as possible, it was only a matter of time before I converted to a cabin bag only way of travelling. Let´s face it, nobody enjoys sweating it out trying to fit your carry-on bag into the overhead bin. Fortunately with the Cabin Zero Urban, you´ll no longer have to worry. The wizards over at Cabin Zero have created a pack that is specifically built to fit perfectly into the cabin space above your seat. In other words, this pack has been designed from scratch to fit into all airline cabin spaces so that you never have to worry about carry-on baggage size or dimensions ever again. Just make sure that you don’t go over the weight limit, and you’re golden! 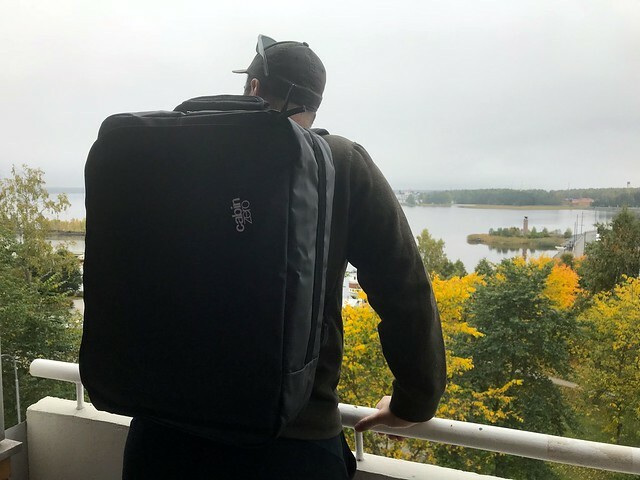 With the Cabin Zero Urban, there´s no need to sacrifice style for quality because this pack has been built with style in mind. The fit and finish is impeccable, and its overall look will keep you looking stylish and cool no matter how long of a travel day you´ve had. Cabin Zero also throws in a 10 year warranty, which is a testament to their confidence in their product’s quality. 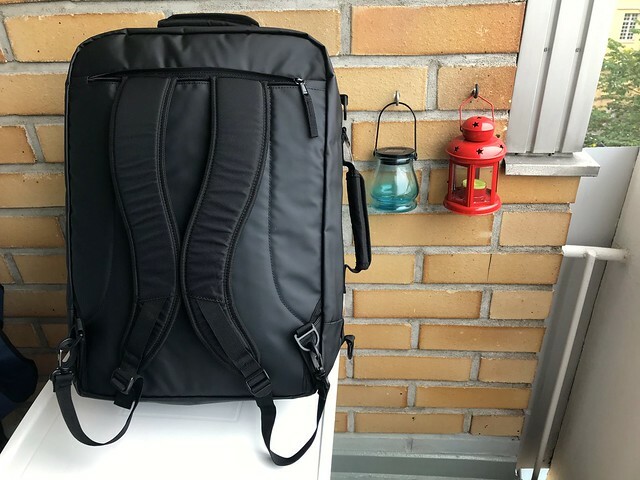 The Cabin Zero Urban has handles built into both the top and the side allowing you the freedom to choose from multiple ways of carrying the bag depending on the situation. The shoulder straps are fully lined and well-padded, ensuring maximum comfort. 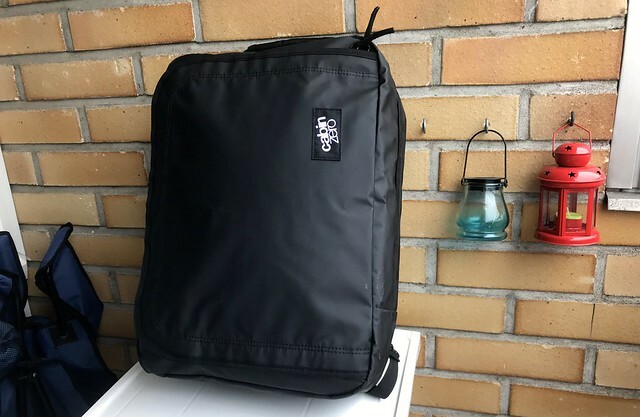 The compression straps on the side of the bag allow you to push out extra air, which saves space and thus makes it more comfortable to carry. The front zipped pocket with inside zipped and mesh pockets is perfect for storing your documents and passports. 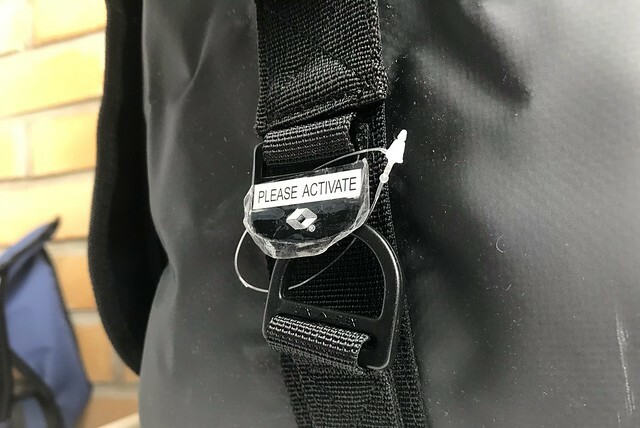 The lockable YKK zippers on the main compartment provide additional safety. Moreover, as the zippers are made by YKK, you can rest assured that they’ll probably outlast you. As it’s made of tarpaulin and comes with waterproof polyester lining for added safety, you don’t won´t need to worry about the weather and the elements. These additional design features make the Urban stand out from other Cabin Zero models. If you prefer to use packing cubes to prevent frantic searches for items then the Cabin Zero Urban is your best bet. Forget having to toss everything out of your bag to find what you´re looking for because the Cabin Zero packing cubes fit perfectly into the Urban. Great option for those organised travellers who want to stay on top of things. 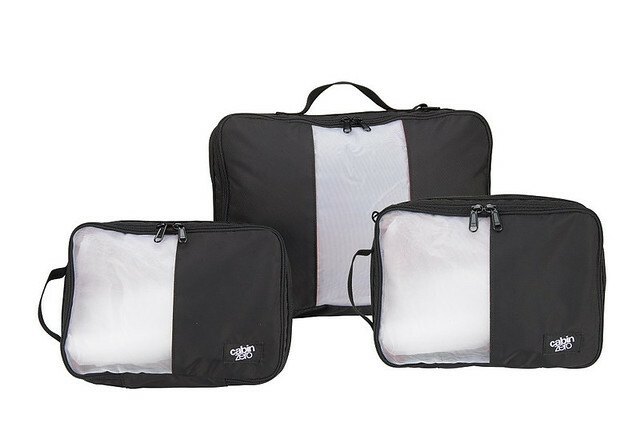 Cabin Zero have their own packing cubes that fit well with the Urban model. Like all Cabin Zero bags, the Cabin Zero Urban comes with a unique OKOBAN tracking serial number. To register your pack, simply visit the OKOBAN website, type in the unique serial number on your bag tag, and fill in your personal details. Now, if you somehow manage to lose your bag during your travels and someone stumbles upon it, all that person needs to do is visit the OKOBAN website, enter the serial number of your bag and the process of getting your bag returned to you will already be underway. Perfect for those forgetful Travellers like me who are always loosing their things. 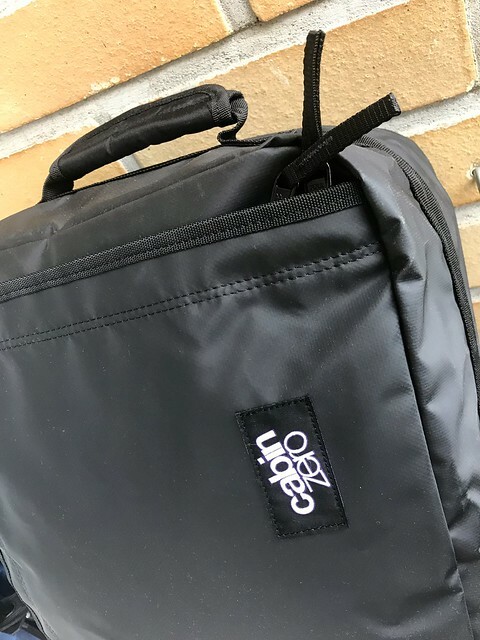 If you’re looking for a carry-on bag that is stylish, practical, durable and comfortable to carry with you on your next adventure then look no further than the The Cabin Zero Urban. Thank you for reading my blog post about the Urban model, I hope you found it useful. If you do have any further questions, I’m very happy to help. For more packing advice be sure to check out my blog on packing tips to help you on your way to hand luggage travel. 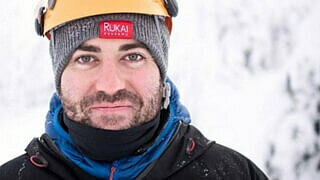 You can leave a comment below in the comment section of this blog post or feel free to send me a tweet: @Traveldaveuk.